Two years ago today, news spread of Dr. George Tiller’s death. He was shot and killed in his church by a “pro-life” activist. A man named Scott Roeder was investigated and charged with murder. Today serves as a reminder to us and our staff of a few things. For those of us who knew Dr. Tiller personally, it’s a reminder of who he was as a person – kind, righteous, heroic, down to earth, fun… apparently the type of guy who would wear track suits to national conferences and challenge people to push-up contests, so I hear. 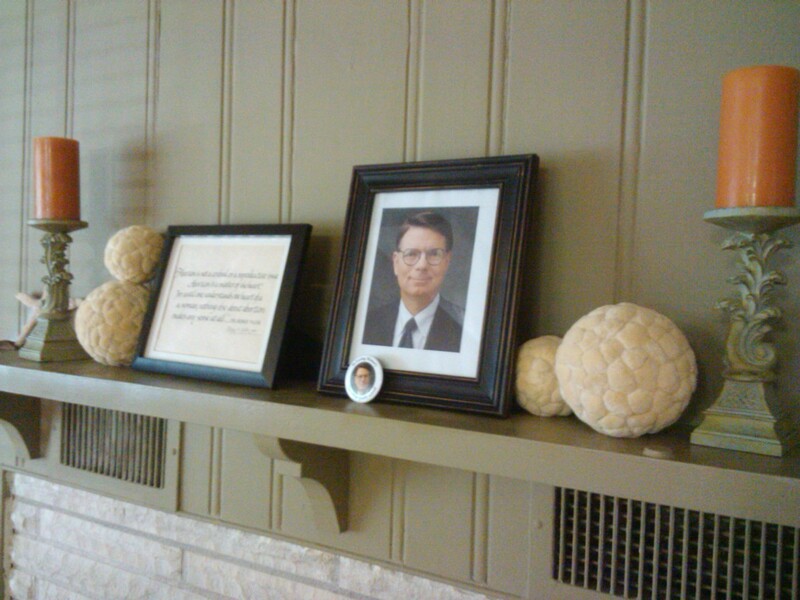 Dr. George Tiller’s death makes us take any and all threats seriously, regardless of who the person is and what we believe their actual intent might be. This weekend, a New York Times article featured an interview with an Austin-local political activist who has been followed by the counter-terrorist department of the FBI for over 10 years. The purpose being that this activist who held non-violent workshops and fundraisers for his non-violent political beliefs was a threat to the state… So, why him, and not these people? What will it take to officially equate radical pro-life activism to domestic terrorism? – Another shooting? Another attempted murder? Another threat letter? Another ‘Survivor of the Abortion Holocaust’ illegally trespassing on clinic property to “collect evidence”? 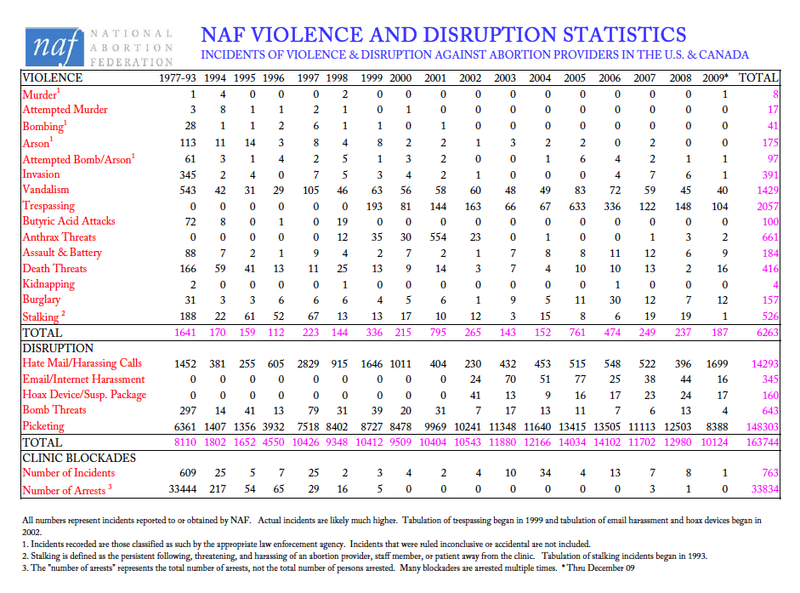 Below are The National Abortion Federation Violence and Disruption statistics. This list is not exhaustive, and doesn’t include 2010/2011, but you can bet that the numbers have gone up. Unless we get serious about these numbers, they will continue to rise. We’re using today to remember Dr. George Tiller and the heroic work that he did for women. We’re also using it as a reality check that perpetual harassment, no matter how mild it seems, does sometimes have a way of escalating into something real.